The Ultimate Homeschool Curriculum List of 2017 - The Best Homeschooling Curriculum list ever! The Ultimate Homeschool Curriculum List came out of a discussion I had with fellow homeschooling moms. Every year we struggle to find a homeschool curriculum list that provides both breadth and depth and includes resources to keep our kids engaged. Not only do they get bored easily, but we want them to have a well-rounded education. It hard to find new and unique products these days, it’s also hard to find a comprehensive Homeschool Curriculum List. So, we put together The Ultimate Homeschool Curriculum List just for that very reason. These products are some that we use in our homeschooling, and/or have come highly recommended from other homeschooling families. We hope that you will spend some time getting to know the companies on this homeschool curriculum list. They are all small businesses and your support of them is not only greatly appreciated, it gives you the chance to try something new and innovative with your kids. The products in The Ultimate Homeschool Curriculum List are sure to get your kids excited about learning this year. Have any suggestions for the Ultimate Homeschool Curriculum List? Please email Info@HowToHomeschool.net. We are always looking for suggestions. NOTE: The products & services in The Ultimate Homeschool Curriculum List are listed in alphabetical order. Enjoy! In a hurry? Click any of the following categories and you’ll be taken directly to each one for more information. Home Art Studio is an award winning DVD based art education program specifically designed for homeschooling families. We make it so easy. All you do is put out the art supplies and the kids follow along with Ms. Volin on the DVD. Each project is fun and challenging. We include art history wherever possible and use a variety of mediums. Your kids will love Home Art Studio. 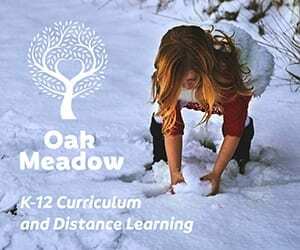 Alpha Omega Publications – Find the perfect option for your family’s needs with award-winning homeschool curriculum from Alpha Omega Publications. From time-tested print products like Horizons and LIFEPAC to our groundbreaking plans for Monarch online curriculum, AOP has partnered with parents for over 40 years to provide children with a rigorous, Christian education. Monarch is the most complete online homeschool curriculum for grades 3-12. Monarch’s budget-friendly plans grant homeschool families access to 50 courses in the main subjects of Bible, history and geography, language arts, math, and science. Best of all, you can customize learning across grade levels to meet individual needs for each subject and child. Over 115 electives also are available. With complete customization, automatic grading, and a host of other powerful features, you can quickly see why so many parents and students around the globe love the freedom of online learning with Monarch. We think you’ll love it, too, which is why we want you to try Monarch risk-free for 30 days. No risk. No commitment. No credit card needed. Visit DiscoverMonarch.com and enter promo code MON30HTH. American School – Am erican School is your school of choice, offering accredited middle school and high school courses in online and traditional paper-based formats. Students in grades 6-12 can take the accredited courses they need in the quantity and format that best suits their learning styles. Some will choose full-year or diploma programs, while others will choose individual courses to enrich an already existing homeschool program. American School offers: Middle School (6-8), High School (9-12), Credit and Dropout Recovery, Individual Courses, Traditional Paper-Based Courses, Online Courses, AP and Honors Courses, World Language Courses Powered by Rosetta Stone®, Full Grade Levels, Accredited Diploma Programs and Adult Diploma Programs. 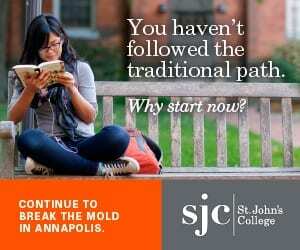 After enrolling, students can work at their own pace, start anytime and study anywhere, choose from a wide variety of courses, pay an affordable tuition which includes all study materials, receive personalized feedback and assistance from experienced and qualified instructors, and can access the Online Student Center 24-7 to view their grades and access additional course materials. If students enroll in our high school diploma program or middle school program, they can receive a free transcript evaluation (U.S. schools only), receive credit for courses completed at accredited schools, and make monthly, interest-free payments. American School is accredited by the Middle States Association of Colleges and Schools-Commissions on Elementary and Secondary Schools (MSA-CESS), the National Council for Private School Accreditation (NCPSA) and Accreditation International (Ai). American School is also recognized by the State of Illinois as a non-public high school. For more information or to enroll, visit www.americanschool.org/hth. Beestar provides innovative online programs in all subjects for students from grades 1-12 and has helped thousands to reach their excellent achievements on standardized tests. Weekly Exercises: Using its curriculum-based programs for only 20 minutes a week, students can effectively master the core knowledge traditionally taught in schools and develop advanced problem solving skills. Parents can monitor students’ performance online and know exactly what their kids need. Beestar provides motivational recognitions every week, which brings a lot fun to learning. National Competition: The annual Beestar National Competition (BNC) brings students nationwide together to solve challenging problems and explore interesting ideas. To excel, students often need to think outside the box and solve problems creatively. Participating in competitions such as BNC broadens students’ knowledge significantly as they explore topics beyond conventional scope and develop advanced skills. About Them: Beestar was started in Sugar Land, TX, a city about 20 minutes Southwest of Houston, that is known for its exemplary-ranked public schools. Beestar founded by Sugar Land teachers and parents with the goal of creating a system to foster students’ interest in education and help them achieve excellent academic results while allowing parents to participate in their kids’ learning process. Read about what their users say. Visit beestar.org for grade 1-8 programs or hs.beestar.org for grade 9-12 programs. The Core Knowledge Foundation — the people who brought you the What Your ___ Grader Needs to Know series—offers hundreds of curriculum resources as free downloads. Take a look at our comprehensive, research-based Core Knowledge Language ArtsTM program for Preschool through Grade 5. You’ll find full-color student readers, teacher guides, and supplemental materials—a wealth of resources for teaching reading, writing, listening, and speaking, with plenty of great stories and engaging nonfiction. You can also download dozens of student books and teacher guides in our Core Knowledge History and GeographyTM program. All these downloadable resources are easy to read on most tablets and computer screens. Want to make sure your children are building strong foundations of knowledge grade by grade? Then explore the Core Knowledge Sequence, available as a free download. The Core Knowledge Sequence provides a detailed outline of specific content and skills to be taught in language arts, history, geography, mathematics, science, visual arts, and music. For preschool children (age 3-5), the Sequence describes fundamental competencies and specific knowledge that provide coherent foundations for later learning. Browse our Store, where you’ll find a range of knowledge-rich curriculum materials. And explore the pages of our website that explain why it’s important to start building strong foundations of knowledge in the early years. In short, if you’re looking for high quality free resources to expand your children’s knowledge and strengthen their reading skills, Core Knowledge has a lot to offer. Start downloading now! eAchieve Academy – Wisconsin’s leading online elementary, middle and high school serving students in grades K-12. An independent, tuition-free virtual public charter school operated by the School District of Waukesha, eAchieve Academy features a flexible, individualized approach to learning integrated in a rigorous, engaging online curriculum with extraordinary support from experienced, certified teachers. For parents and students opting to homeschool, eAchieve Academy allows students to take specific classes, including honors and AP courses. This supplementary learning allows students to receive the best available online instruction while still being homeschooled. Many students find that transcripted grades from taking an eAchieve Academy class tend to validate homeschool grades on college applications. eAchieve Academy provides live instruction coupled with independent study. Our dedicated, professional educators find, organize and create the highest-quality curriculum, resources, activities and assessments. Pace charts, progress reports and 24/7 access to the online grade book provide students and parents with the information they need to track student progress and ensure successful completion of each class. Wisconsin residents can take up to two classes per semester at no cost through a program called Course Options. Non-resident students can take classes at very reasonable rates. Contact us today for details. Red Comet – Red Comet is a fully accredited online program offering nearly 175 online courses for grades ranging from 6 to 12. High school students who successfully complete courses on the Red Comet platform will receive high school transfer credits from a public school in the State of Washington. Several of Red Comet’s courses are approved by NCAA and students can get NCAA credits for these courses. In addition to core courses, there are several electives offered under each subject area. High school students may explore future career options by enrolling in a choice of over 45 career-oriented courses while advanced students can enroll in Advanced Placement courses. Given its excellent and simplified course layout and navigation, Red Comet has one of the highest success rates amongst all other online programs. Red Cometwas consistently rated as having one of the highest student satisfaction in state-wide surveys. Visit www.redcomet.org to enroll in classes. Sycamore Academy is a very affordable accredited online school and our live classes are an added bonus with no extra fees. Classes are project driven— the students are doing projects, not just reading and answering questions. Teachers are available to meet with students via Zoom meeting to answer questions or help with assignments in addition to the “Live” classes. For many years, families have turned to Sycamore Academy to meet their educational needs. We offer a personalized approach with flexible scheduling and it is customized to your student’s needs, abilities, learning style and goals. Sycamore Academy Online offers you all of the freedom and flexibility you need along with an engaging curriculum that offers complete support and help. Sycamore Academy is quickly becoming a favorite among homeschoolers because we do the difficult work and give you the freedom to enjoy your child and be a partner in your child’s education. We are here for you every step of the way to guide and encourage you. Communication is key and parents are kept informed and involved. Let’s start a great relationship with you and your child! Teacher Gems was founded by a former teacher turned homeschool mom on a mission to develop highly-engaging, hands-on resources suitable for a variety of learners. Teacher Gems K-6 resources are differentiated providing the appropriate amount of support and challenges for learners. Easy to use writing centers, like Teacher Gems Build-A-Story Writing Center, encourage even reluctant writers to independently engage in writing while inspiring creativity. Teacher Gems phonics MEGA activity packs are loaded with hands-on, differentiated and interdisciplinary (incorporating language arts, math and science) activities. Color by number math facts activities and logic puzzles provide the perfect enrichment tools to supplement any homeschool curriculum. Check out all that Teacher Gems has to offer here. The American Academy – A pioneer in online education, serving students in every state and dozens of nations across the globe, The American Academy has helped thousands of high school homeschool students reach their academic goals. Fully accredited by the Northwest Accreditation Commission, a division of AdvancED, The American Academy provides more than 100 core and elective courses that students can begin at any time of the year. Every course is facilitated online and led by a highly qualified and licensed teacher. American Academy students work at the pace that is right for them, providing every learner the opportunity to move swiftly through materials that come easy to them, or to slow down for work that proves more difficult. Our program is comprehensive. In other online programs, you simply cover the material in the textbook—but not read the book from cover to cover or answer every question. With our homeschooling program, we will diligently cover the material in detail. Uniquely, we also offer 50 minutes of free tutoring, available when you need it. Whether you are looking for a single course to diversify your educational options or a comprehensive start-to-finish high school experience, The American Academy has the flexibility, support and experience to help you to reach for graduation — and beyond. 1. Make homeschooling more affordable with free curriculum and some of the best-priced, high-quality curriculum on the market. 2. Make homeschooling less overwhelming with no prep-time, powerful lessons. 3. Bring joy, character, and beauty back into learning. Over 300,000 language arts & literature courses have been downloaded! Find out why families are saying this curriculum is bringing joy and beauty back into learning. Levels 1-5 are offered as FREE downloads! All of the following subjects are combined in one easy-to-follow, beautiful course set that requires no prep times and makes learning engaging and meaningful: reading, writing, literature, spelling, grammar, art, and geography. Our faith-based, family-style history and science courses require little to no prep-time and are designed to be engaging for the whole family. HistorySimulation.com has interactive Lesson Activities and engaging PowerPoint/Keynote Presentations. Mr. Harms is a practicing History Teacher that has developed history simulations for The American Civil War, European Imperialism, WWI, WWII and The Cold War. In these lesson activities, students are assigned roles as world leaders and given objectives that mirror the national interests of those countries. Guided by these objectives, students conduct diplomacy, negotiate with other countries and develop strategies. This creates a dynamic classroom where students are self-motivated to be engaged as they are confronted with complex situations and difficult decisions. With new Online Platforms, these simulations are easier than ever to administer for teachers and an even better experience for students. Mr. Harms also develops engaging presentations in both PowerPoint and Keynote Platforms. These Presentations include concepts, critical thinking questions and powerful animations to help students remember complex ideas and historical situations. Learn more here: HistorySimulation.com. Use code HowToHomeschool at checkout for 10% off your order. The Red Well-Read Reader (TRWRR), the central product of 2B, has 361 rhyming stories. Each story has one predominant rhyme. Collectively, the stories systematically cover the entire English language, beginning with the short a, then the long a, and so forth through twenty more vowel classifications. Because decoding remains easy throughout, there is no point where a child feels overwhelmed and gives up trying to learn. On the other hand, because the stories are written in part in a rather highbrow fashion, no youngster (no matter how smart) will grasp all the implied meanings nestled between the lines. TRWRR never talks down to children, whether they be 5 or 105 years of age. For this reason, parents, foreigners learning English as a second language, and adults just now learning to read―all should appreciate the sophisticated content, as much as, if not more so, than do youngsters. 2B has over a dozen more learning products, all of which are super fun and extremely efficacious. To varying degrees they provide hours, weeks, months, and years of opportunity for parents to impart their knowledge and wisdom to their charges while teaching them how best to use the English language efficiently and effectively. All About Spelling is an award-winning program that provides complete and comprehensive instruction using the Orton-Gillingham approach. This multisensory program includes a built-in review system and reinforcement activities, ensuring that your children retain and apply what they learn. Step-by-step lessons build on one another in a sequence that has been carefully tested to produce long-term results. The Bash Series – Beamer is in for some real zany adventures when visiting his cousin beamer on the farm. Together they will find themselves in some wacky and weird situations that only their “Fishin and Farmin’ book” (The Bible) can help them out of. Join them and their friends on their crazy summer adventures! The series includes: Bash and the Pirate Pig, Bash and the Chicken Coop Caper, & Bash and the Chocolate Milk Cow. Bethlehem Books – In 1994 we launched our books apostolate with The Story of Rolf and the Viking Bow, the first of more than 100 print books we have published over the years. Many of them, including Rolf, are still in print. We specialize in reprinting tried and true historical fiction, adventure tales, biographies, and family stories that help children and young adults expand their imagination and understand the past. Years of educating our children at home acquainted us with libraries and second-hand stores, showing us a wealth of good children’s literature published during the last fifty years. To our pleased surprise our appreciation developed into an actual “rescue mission” of reprinting a few of these good books, which rest on the solid moral values of a Christian Culture. Our goal has always been to provide as much good family reading as we could afford and so we have entered the world of digital books, converting many of our print books into electronic format—eBook versions for sale side-by- side with their physical counterparts. At the same time we have introduced over 60 brand new titles in eBook-only format for our readers’ enjoyment. From all of us at Bethlehem Books we wish our friends and readers many happy hours of reading literature to feed the imagination. Brand New Readers – Make reading a success the very first time! Brand New Readers ® are simple and fun illustrated stories that introduce children to the joys of reading and give them confidence that they can read. Created by literacy experts and published by Candlewick Press, the Brand New Readers series is perfect for children ages four to seven (PreK–Grade 1) who are either first learning how to read, struggling with reading, or learning English for the first time. The books, by award-winning children’s book authors and illustrators, follow appealing characters through stories with a gentle sense of humor. Each Brand New Readers slipcase contains four individual eight-page paperback books, with one sentence per page and accompanying bright illustrations. The clear illustrations paired with short, patterned sentences make it easy for children to develop vital literacy skills: varied use of language that addresses different topics, characters, and settings helps solidify early vocabulary; repeated patterns and variety of punctuation and dialogue increase fluency; and colorful illustrations, introductions for each story, and plots, conflicts, and resolutions familiar to young children aid in comprehension. The story introductions include simple suggestions for parents on how to help guide their brand-new readers! For more information, visit www.brandnewreaders.com or www.candlewick.com. Brave Writer – The Brave Writer program brings a fresh point of view to the writing process. Rather than emphasizing format writing as the key to success, Brave Writer’s materials and instructors facilitate the emergence of an authentic writing voice in your children. Once children have access to the language, insights, and ideas locked within, they easily learn a variety of writing genres, including the rigorous academic formats of high school and college. Need additional support? The Homeschool Alliance is our online community that supports your risk-taking choices, applauds your successes, and empathizes with your struggles. It’s the one-stop Internet community sandbox for home education. We do it together, one month at a time, one subject or child at a time, making sure that you can see and measure your progress. Check out Brave Writer today for your language arts and writing needs! Since 1941, Dover Publications has been providing low-priced books for homeschoolers of all ages. Books for children include coloring books that help boys and girls learn about history, animals, famous people, the alphabet, and more as they express their creativity; easy drawing guides that offer kids fun step-by-step instructions; activity books filled with entertaining and educational mazes, crosswords, word games, and more; titles about magic and card tricks, vintage crafts, stamp collecting, and other hobbies; papercraft guides; classic storybooks by Thornton W. Burgess, L. Frank Baum, and other legendary authors; and many more kids books. Click here and SAVE 25% on all Dover books with the use of code WHCQ. Offer ends June 30, 2018. Easy Grammar Systems – When Dr. Wanda Phillips is asked why her texts are popular, her answer is that they help children to learn easily. As the author of Easy Grammar series, Daily GRAMS series, Easy Grammar Ultimate Series, and Easy Writing, Phillips is well-known for incorporating a prepositional approach, an “expanded building-block” paradigm, and cyclical learning, all to promote mastery. Dr. Phillips wrote Easy Grammar texts (Grades 2-6 and Plus) to teach concepts. She first introduces common prepositions and deleting prepositional phrases to help students determine subject, verb, agreement, etc. Phillips is also noted for introducing concepts at a basic level and building for understanding–in just two-three lessons daily. She has also added unit reviews/unit tests and cumulative reviews/cumulative tests to augment mastery. Wanda designed Daily GRAMS texts (Grades 3-7) as daily, 5-10 minute reviews (180 lessons). She developed a consistent format focusing on capitalization (#1), punctuation (#2), grammar and other concepts (#3/4), and sentence combining (#5) for improved quality of writing. The process of reviewing concepts cyclically (rotationally) enhances mastery. Phillips recommends starting each class period with a review lesson. Dr. Phillips’s newest series, Easy Grammar Ultimate Series (Grades 8-12) provides daily teaching by following the same format as Daily GRAMS. The 180 lessons provide high-school students with continued learning and application in daily, 10-minute lessons and have been designed cyclically. This allows students more class time for literature and writing. Easy Spelling Aid – Easy Spelling Aid gives children and adults alike a quick and easy way to find out the spelling of a word, translate words to and from English, or other languages, and helps dyslexic learners with specific cognitive difficulties with the aid of the ‘OpenDyslexic’ font and color overlays. Through this compelling educational app, young students everywhere are starting to enjoy the benefits of self-directed learning by not having to wait for help from parents or teachers, which is a big plus. Easy Spelling Aid is suitable for students of all ages, from 5 to 55 and beyond and is recommended by teachers for use individually or in a classroom setting. Easy Spelling Aid boasts superior, accurate and incredibly fine-tuned speech recognition and translation service in multiple languages. Easy Spelling Aid is the perfect tool for writers of all ages, as it improves literacy performance and spelling, helps with comprehension and vocabulary and develops recognition and correct spelling of words in their appropriate context. Easy Spelling Aid is available to download in the App Store, Google Play and Amazon. GiftedandTalented.com – Guided by ongoing research at Stanford University, GiftedandTalented.com provides innovative personalized programs that help 5-18 year-old students become advanced learners in Mathematics, English, and Science, including Computer Programming and Physics. Students work independently or with the support of a Tutor. Kindergarten through 12th-grade students of all backgrounds can benefit from enrolling in our personalized courses. Whether supplementing school, preparing for tests or homeschooling, we accelerate learning. Our programs automatically adapt to meet each student’s unique needs based on a variety of data inputs with the goal of ensuring foundational knowledge while accelerating learning. The automated reporting tools within our Learning Center provide precise data regarding each student’s progress. Performance data is summarized in real-time reports made available to students and parents. The Learning Center also provides access to an array of parental controls and communication tools. The Tutor-supported level of serviced includes an expert tutor with deep subject mastery and experience helping students achieve their academic goals. On average, students working virtually with tutors finish 2+ grades ahead. In addition to working with students on a one-on-one basis, our tutors lead digital classroom sessions for small groups and communicate with students via video chat, phone, and email. More than 1 million students and families have used our programs to enhance their learning experience and maximize achievement. Recent independent research has confirmed that our adaptive learning programs are proven to accelerate achievement for a variety of students. The Prince Warriors Series. The Battle is real. Read Right is a highly structured reading intervention program designed to produce rapid reading improvement for children, teens, and adults regardless of labels that have been attached—RTI, Title I, English language learners, or special education (including dyslexia, ADD, ADHD, autistic, etc.). Read Right relies on the plasticity of the brain to remodel the neural network that, in poor readers, guides the reading act inappropriately. Pre/Post evaluations with norm-referenced, standardized reading tests, District tests, State tests, and third-party gold-standard research all verify the effectiveness of Read Right. The gold-standard research has been reviewed and rated highly for quality and rigor by the National Center on Response to Intervention. Read Right methodology is unique because it rapidly advances virtually every student, regardless of his or her reading level or the “labeled” learning problem. Even non-readers of all ages—Grades 3 through 12 and adults—have experienced rapid success with Read Right methodology. The powerful Read Right methodology is available online for home-schooled students via audio and video conferencing software that connects the student with the tutor so they can see and hear each other. Students experience the same rapid improvement in their reading abilities as do students in Read Right’s school projects. The student meets from 2-5 times a week at an appointed time with his highly-trained Read Right tutor for 55-minute sessions. Read Right has a money-back guarantee. We are that confident our methodology will transform struggling readers to excellent readers. Check out our website for details: www.readright.com or phone 360-427-9440. Read to Know – Give your kids the edge with Read to Know family – the award winning weekly online news magazine for kids in grades 5 and up. Read to Know uses current issues to help young readers build literacy and writing skills, background knowledge, and confidence. Strengthens kids understanding of current events, civics, history, geography, science, and more, with engaging current stories. Boosts kids’ vocabulary, literacy, and critical thinking skills. With your subscription, your family gets 48 weekly issues every year. Each one contains interesting and important stories from around the U.S. and the world. Each story is carefully explained with background information and written on a level your kids can understand. After reading each story, students take a self-correcting comprehension quiz, go further with inferential “thought” questions, and explore links for more information. For only $35 per year, your household will have access to 48 weekly issues of Read to Know, as well as access to the program archives, containing thousands of extra stories. To place your order go here. memory, enabling them eventually to be able to reproduce the correct spellings in their everyday writing. Lessons are limited to short daily sessions to keep interest and enthusiasm high. There are no word lists to memorize and no weekly tests. Spelling You See is a program based on years of research into how students learn to spell. Students become effective communicators as they grasp the proper spelling of words in the English language. At Spelling Words Well, our goal is to build impeccable spellers of all ages, all around the globe. We are your one-stop resource for graded spelling word lists, spelling worksheets, spelling games, crosswords, activities and lessons. From easy phonics pages to difficult brain teasers for adults, we have you covered! We specialize in providing spelling bee word lists and comprehensive spelling bee competition packets which make it easy for you to organize and conduct spelling bees, even if you’ve never done it before. We also offer eBooks of spelling practice pages that are adaptable to almost any set of spelling words. If you’re looking for a way to add some pizzazz to your spelling routine, please visit www.spelling-words-well.com for lots of supplementary resources that are educationally-sound, family friendly and … fun! Spike Literature — A new look at classic literature! A classic look at new literature! For the teacher and student alike, Spike Lit’s Videos and Study Guides give background on authors and insight into works. Spike’s ’Not-Too-Complicated’ Study Guides provide writing and discussion prompts as well as cross-curricular activities. Developed by educators with experience in both classroom and film/theater, Spike Literature uses humor and a no-nonsense approach to help students understand the timeless depth to these classical works and recognize their contemporary relevance. The Fighting Hawks Series – History comes alive in this action packed, historically accurate Time Travel Adventure Series about the major battles of World War II. The author takes her readers on a journey through time, transporting them back to D-Day and Pearl Harbor, where they live through the battles with heroic characters by their side. For more information, see thefightinghawksseries.com, or order “The Fighting Hawks at D-Day” here and “The Fighting Hawks at Pearl Harbor” here. ALEKS® ( Assessment and LEarning in Knowledge Spaces) is an online math assessment and learning service for students in grades 3 through college. The program uses proprietary technology to automatically identify what students know and don’t know resulting in personalized instruction on the exact topics a student is most ready to learn. ALEKS® is accessible from virtually any computer with Internet access, making it a flexible and mobile educational solution for your child! Edheads is a nonprofit company that produces educational games that allow students in grades 1-12 to experience a STEM career. On our site, students can be surgeons, meteorologists, manufacturing technicians, engineers and more! We tie classroom math and science curriculum to a real world challenge and highlight a STEM career at the same time. Edheads ignites imagination through engaging and interactive online adventures to bridge the gap between education and work, encouraging students to pursue fulfilling, productive careers in science, technology, engineering, and mathematics. Memberships start at $20 for families and single classrooms. To join today, click here! Homeschool Math Crusade – Delivering a Great Middle/High School Math Education by Homeschool Parents Is Now VERY EASY, thanks to a NEW Practical Math Program by master math teacher Dr. Del. Customized for all career paths. Earn up to 6 high school credits. Dr. Del will be the Teacher. You’ll be the Coach. Makes teaching great math hassle-free. Self-paced, interactive online video lessons with quizzes. Master a Scientific Calculator, then learn Pre-algebra through Calculus, plus SAT/ACT prep. Includes Notes/Exercises and Student/Parent Forums; Online student/parent forum and direct support from Dr. Del if needed. is an effective way to teach and get results teaching the times tables. Many parents have been able to teach the system in one hour. For many kids it is often best to teach the system in three 20-minute sessions due to short attention spans. Even if the student has special learning needs, we think you’ll be impressed with the results because this system seems to capture their special, creative abilities. We have found that math help that is fun and easy, is more effective and long-lasting. Knowre is an award-winning online program for Pre-Algebra, Algebra 1, Geometry, and Algebra 2. The program supports your child’s math practice with instructional videos, thousands of questions, and interactive, step-by-step support. When students get stuck on a problem, Knowre breaks the problem down into sub-steps, like a tutor or teacher would. Students must solve each step and demonstrate what they know, which enables them to continue building their foundational math skills. With Knowre, students aren’t left discouraged by not being able to tackle problems and parents get a powerful resource to help their children practice math. Knowre’s curriculum was developed by experienced math teachers and students can navigate the curriculum easily using the learning map. Built-in reward systems, fun graphics, and progress reports keep students engaged and motivated. Students can access Knowre online and through Knowre’s iPad app, which has an onscreen scratch pad for working out problems and supports handwriting recognition. Christian Educators Academy (CEA), accredited by SACS/AdvancED, is an online school, serving students in all 50 states and around the world. Our program allows students to work anywhere, anytime, all online. CEA offers year-round enrollment and a high-quality education, with a choice of either Apex or Gradpoint curriculum. With Apex, high school students have access to rigorous college preparatory, honors, AP, and dual enrollment courses. With Gradpoint, middle and high school students can take college preparatory classes as well as a wide variety of electives, including forensic science, culinary arts, and criminology. Gradpoint also provides more options for flexible scheduling. With both programs, CEO provides challenging, mastery-based courses and professional teacher support. CEA adapts to a variety of needs. We maintain a low student/teacher ratio so that we can provide personal service to every student and family. Our aim is to help each student develop in their gifts and callings, and to prepare them for the next step in their journey. We encourage students to develop self-confidence, honesty, integrity, and Godly character, and to maintain a balance between academic excellence and the dynamics of Christian life. As a ministry-based school, we offer competitive, all-inclusive pricing, with discounts available for missionaries, single-parents, and military families. Contact us today at 1-800-866-0501 or visit our website http://www.ChristianEducatorsAcademy.com. Deeper Roots – The Deeper Roots team produces Bible curriculum, written BY home schoolers–FOR home schoolers. Our quality materials will help you move your students from biblical knowledge to spiritual application. As homeschooling pioneers, we KNOW what you are facing as you choose to educate your children at home-don’t be discouraged. It is well worth the effort when you see them as adults raising their own families to love the Lord. Essential, well developed teachers notes will empower you to teach with confidence and minimize your preparation, enabling you to more effectively disciple and mentor your student(s) for maximum spiritual growth. Read some great positive reviews on our Jr. High and Sr. Hi. Bible curriculum at http://deeperroots.com/bible-curriculum-reviews/. We believe this is the best Jr. & Sr. High Bible Curriculum available and we guarantee you will be satisfied! The Action Bible – Here’s the most complete picture Bible ever! And it features a captivating, up-to-date artwork style – making it the perfect Bible for today’s visually focused culture. The Action Bible presents 215 fast-paced narratives in chronological order, making it easier to follow the Bible’s historical flow – and reinforcing the build-up to its thrilling climax. The stories in The Action Bible communicate clearly and forcefully to contemporary readers. This compelling blend of clear writing plus dramatic images offers an appeal that crosses all age boundaries. Brazilian artist Sergio Cariello has created attention-holding illustrations marked by rich coloring, dramatic shading and lighting, bold and energetic designs, and emotionally charged figures. Let this epic rendition draw you into all the excitement of the world’s most awesome story. Real Science-4-Kids offers a solid curriculum for a solid foundation. Enjoy this logical and sequential approach to real science. Select from two comprehensive programs, ‘Exploring the Building Blocks of Science’ Series and the ‘Focus On’ Series, to find the teaching method that works for you. Reap the benefits of the nourishing upward-spiral teaching method employed in Exploring the Building Blocks of Science Series. Real Science-4-Kids integrates the 5 core disciplines of science into one convenient book for each grade level. Children must first learn about atoms, molecules, chain reactions, and more before they can truly grasp how plants grow. Exploring the Building Blocks of Science provides those fundamental scientific building blocks for comprehension, and builds on that foundation in age-appropriate increments. Looking to focus on one subject at a time? Enjoy the detailed approach of the Focus On Series. These semester-long unit studies encourage students to move deeply into one subject at a time, where they can really focus on and grasp scientific concepts in a memorable way. Let Real Science-4-Kids help instill a love of science through a nourishing, worldview neutral curriculum that encourages students to see, touch, feel, and think about the scientific world they live in. Red Wagon Tutorials – Specializing in live-feed, online recorded, flash drive, DVD, and e-Notebook science courses. According to Dr. Jay L. Wile, “This program is run by the most gifted teacher with whom I have ever worked.” Provided are 32 video lessons and over 500 web site links to extended course information. Bechtel Books – Homeschoolers and Christian schools have been using Bechtel Books for the past 29 years. Speedy Spanish and Christian Ethics for Youth are ageless courses designed for busy Moms and ambitions students. Speedy Spanish teaches vocabulary, sentence structure, songs, Bible verses, and Bible vocabulary. It has been identified as “A compact, easy to use curriculum.” It is a conversational, self-teaching Spanish study. Be sure to check out our other books also at bechtelbooks.com or speedy-spanish.com. Need help, have questions: call 503-630- 4606. Betsy Belle Teaching Resources – Language learning is made easy for children and their parents with Betsy Belle teaching resources. Our resources are designed to take the fear and uncertainty out of language learning and replace it with fun, supportive and confidence boosting activities. Our well designed PowerPoints introduce new vocabulary with beautiful images and a coherent design and practice the new words via games such as ‘flying words’ and ‘in the spotlight’. Our best-selling emergent readers introduce new vocabulary and embed learning via a range of stepped activities. Our board games put a fun and competitive twist on grammar lessons. And our ‘all on one page’ speaking and writing frames provide endless support and inspiration to all. You will also find follow me cards, French coloring sheets and much more. New products are being developed all the time, most recently videos to introduce new vocabulary which is a huge benefit to non-specialist home school educators.Language learning can be fun for everyone. Start your journey here with Betsy Belle teaching resources. Breaking the Barrier – Founded in 1997 by educators, Breaking the Barrier is a leader in print and digital language learning. Featuring instruction in Spanish, French and English for Spanish speakers, Breaking the Barrier provides students with a solid understanding of language fundamentals as well as cultural insights from around the world. Our programs genuinely offer students the fastest path to language fluency. Breaking the Barrier blends the rigor of serious content with simplicity, clarity, and a student-friendly voice. The tone is informal and conversational – a one-on-one session between teacher and student, perfectly suited to a homeschool setting. By the end of our series, students will have practiced every important topic in the Spanish, French, or English language. They will have the confidence to read, write, and speak fluently. Our books engage students, teachers and parents with updated topical content that’s culturally relevant and just plain fun. Our programs were developed by our founder, an educator who created his own teaching materials after being frustrated with commercial textbooks. Today Breaking the Barrier products are used all across the country. The Homeschool Package offers you a complete curriculum, and has three levels – Beginning, Intermediate, and Advanced. Each level is the equivalent of one year’s worth of Spanish and French. You’ll find our workbook-textbook with all lessons and exercises, accompanying audio with hours of recordings from native speakers, answer key booklet, testing program (with answers! ), and our handy Oasis Travel Dictionary, also available soon on the iTunes App Store! Pacca Alpaca – Enter a world of fun and adventure, as you and your little ones travel the globe, exploring new languages and cultures with your colorful and fluffy guide, Pacca Alpaca! Created by specialists in digital media for children and experts in language learning, the Pacca Alpaca YouTube channel and mobile apps will enable your child to learn first words in different languages and encourage them to embark on new and fun adventures with his other furry friends. Pacca Alpaca helps expose children to new and interesting cultures, building upon their natural sense of adventure and curiosity. You can join Pacca Alpaca today by subscribing for free to their YouTube channel or by downloading one of their apps on the Apple App Store, Google Play or Amazon. Read Hebrew Now – Have you been searching a fun and easy way to learn to read Hebrew? Are you interested in reading the Bible in the original Hebrew, planning to visit Israel or maybe need a refresher course? Read Hebrew Now was created by a mother and daughter team in order to make learning to read Hebrew a more fun-filled, interesting and successful experience. With www.readhebrewnow.com background is not necessary and families can learn to read Hebrew together. Read Hebrew Now is a four-part system. For reading and writing, students work with Part One and Part Two materials. Part Three teaches Shabbat prayers in Hebrew. Part Four is a lighthearted introduction to conversational Hebrew. All of the books can be previewed online. 7 Generation Games – Kids will play the same video game 50 times to improve. Wouldn’t it be great if they took the same approach when it came to math? With 7 Generation Games, they do! This growing line of immersive video games and interactive apps teaches math, while incorporating elements of social studies and language arts. What’s more is that kids who played 7 Generation Games twice a week for eight weeks improved 30% on the skills covered in the game! The key? The folks at 7 Generation Games are making games that actually look like games. Math challenges are central to the storyline: Eight sick people each need three of an herb to stop a spreading epidemic. Who knew multiplication could be this fun? Built by and with educators, repeated wrong answers lead to in-game learning modules that teach the math skills needed to advance. 7 Generation Games are aligned to standards from Grade 3-6. An added perk? Completely free teacher resources are available through their site. New in 2017 is their line of bilingual video games which can be played in English or Spanish. Never argue with your kids about doing math homework again. Developing a solid foundation of character in our children and in our families is essential to making good decisions and building true success in life. Character can grow if encouraged and as parents and caregivers, it is our responsibility to instill strong values in our children. Our curriculum actively opens the dialogue about character through engaging stories from history and nature, real-life experiments you can perform with common materials, songs, poems, enriching projects—both short-term and long-term, and enjoyable games and activities. Besides studying what each character trait means, you will also have the opportunity to apply it directly to life with 5 “I Wills” that remind us what it means to live a life of character. As our gift to you, use coupon code CFFAMILIES2017 when ordering to receive a 10% coupon toward your purchase. Orders over $100 qualify for free shipping. Thank you for valuing a culture of character in your home and family. These five core values encompass all values, form a hierarchy and bear an interrelationship one with another. The goal of the curricula is to teach learners analytical thinking skills and human performance skills so that they build frameworks of thinking patterns and behavior patterns upon which to base appropriate decisions and that these frameworks become strong enough to enable them to make responsible decisions even when the umbilical cord of influence between them and their parents, teachers, or leaders are severed. The lessons are designed to utilize a variety of powerful teaching/learning fundamentals to achieve this goal in such a manner that students beg to participate in the activities. It has K-6 plus a Teen level; and parent manuals for ages 3-7, 8-12, 13-18. EQtainment – EQtainment is on a mission to improve the world’s social and emotional skills through entertaining games, books and our new Q Wunder show and app. Parents and educators love the way EQtainment’s products help kids develop self-awareness, manners, problem solving, empathy, responsibility, grit and more. Kids just love that they’re so much fun! EQtainment has also developed one of the first measurement tools designed to help parents identify and improve their children’s social and emotional skills with customized content delivered via our Q Wunder app. If you’re looking for ‘must listen to’ audio drama with an eternal purpose, Brinkman Adventures more than delivers! Featuring well-known missionaries along with those fresh to the mission field, the Brinkman Adventures will take you on a globetrotting, adrenaline filled journey, telling modern day missionary stories through the lives of the crazy Brinkman family. Join them as they battle unscrupulous slave owners, flee from Mexican bandits and minister to believers in closed countries. Fifty-four episodes available on eighteen CDs, Over twenty-three hours of high-quality audio drama, Episodes downloadable from website, Dedicated information packed web page for each adventure, True contemporary missionary stories, and Companion mission unit studies. The Brinkman Adventures is an exciting family audio drama that combines incredible, current missionary stories with the escapades of a large homeschooled family. Meant to entertain and inspire young and old, Brinkman Adventures will build a passion for global missions while instilling godly values. Kids Cook Real Food is the only online cooking course specifically for kids. Using fun phrases and easy-to-understand directions, Katie Kimball teaches your kids all the basics for a healthy kitchen (no canisters of crescent rolls allowed). Over 30 skills organized into 3 levels so all your kids can work together on one meal or snack and be so proud of their accomplishments! Skills include, Peeling veggies, Spreading (3yos make PB&J by themselves! ), Hospitality, Measuring & Following a Recipe Well, Sharp Knife Skills (5 classes), Stovetop & Oven Safety, Sautéing & Baking, Flipping Pancakes & Tortillas, Cooking Rice & Dry Beans & Creating Meals. Build life skills and family responsibility. Get help with dinner and save yourself time. There’s no better time than NOW to teach your kids to cook! Kidzmet is Parenting Guided by Passions and Strengths. Like the indispensible GPS system on your smart phone or in your car, Kidzmet profiles guide homeschooling parents toward methods and approaches that are based on who their kids uniquely are… You won’t find one-size-fits-all guidelines or recommendations to help your kids fit a specific mold. For $15, you can profile up to 60 individuals so that you can profile not only your kids, but potential caregivers, tutors, and coaches to determine whether or not their personalities “fit”. Kidzmet‘s proprietary assessment looks not only at Jungian personality type (the basis of Myers-Briggs), but multiple intelligences and cognitive style preferences, as well, to give parents a well-rounded view of who each child is so that you can meet them where they are right now. While Kidzmet‘s assessment may be longer than other personality tests, our goal is to be as thorough as possible, so that we can give you as accurate a “portrait” as possible. With more than 50,000 completed profiles under our belts, you can feel confident that the results are as accurate as the answers your child provides. Design and create, unique one-of-a-kind builds with Magformers. Build your very own castles, racecars, robots and many more items with Magformers patented “always attracting” technology. Magformers is the industry leader in magnetic construction toys. With over 30 different geometric shapes, Magformers promotes creativity, imagination and role-playing. With Magformers, if you can dream it, you can build it. Development of Large & Small Motor Skills: Magformers improve hand-eye coordination with detailed active play; balance and dexterity; physical awareness. Social and Emotional Intelligence: Develop art, music, language, and social skills. Explore creative, imaginative play and role-playing. With Magformers sonic-welded construction, there is no glue, no screws, or bolts. Sonic welded technology is extremely safe. Magformers use HQABS plastic, the strongest quality magnet on the plastic toy market. “Always Attracting Technology” Magformers are designed for the encased magnets to spin and attach to other Magformers shapes. For more information, please visit Magformers.com. Makey Makey – Turn the whole world into a keyboard. Makey Makey is a simple circuit board that lets you reprogram the world by connecting everyday objects to a computer. It’s a simple Invention Kit for beginners or experts doing art, engineering and everything in between. Designed by MIT PhD’s to be simple, and foster true project-based creative learning. Build creative confidence! Rewire the world. How Does It Work? Alligator Clip two objects to the Makey Makey. For example, you and a banana (or an ice cube, or a kitty cat, etc.). When you touch the banana, the computer just thinks a keyboard key is being pressed, so you can type a letter, jump in a video game, take a picture, or play some music. Whatever inspires you! Who is Makey Makey for? Kids, Artists, Educators, Engineers, Inventors, Makers. Everyone! We have Lesson Plans as well as project forums and a Labz page on our webpage for educators. Visit makeymakey.com! What materials work with Makey Makey? Ketchup, pencil graphite, finger paint, fruits, plants, coins, your grandma, silverware, anything that is wet, pets, aluminum, rain, and hundreds more. Really any material that can conduct electricity. Walkabouts by ActivEd — Why just talk about it when you can walk about it? Walkabouts by ActivEd are web-based learning adventures that transform math, language arts, and reading concepts into movement-rich educational activities for PreK through second grade students. Using equipment and software you already have (just a standard desktop or laptop computer with a browser), Walkabouts turn learning fundamentals into hopping, jumping, and playing that students will love! website. In just a few clicks, you can build fun, informative lessons on the only movement-based platform proven to improve behavior and academic performance! View a few samples here. ALL FOR THE SPECIAL HOMESCHOOL PRICE OF JUST $23.25/YEAR! Xodus Adventures – We are a homeschooling family that run Xodus Adventures in order to be a resource for you in fitness, wellness, and preparedness. We believe that as our world changes, families need resources to cope with an unpredictable world. Visit our site and use the resources to better help your family reach their homeschooling fitness and wellness goals! Let’s build a vibrant and healthy homeschooling community together! We hope you found The Ultimate Homeschool Curriculum List to be a helpful resource in your homeschooling this year. Each year we will produce a new Ultimate Homeschool Curriculum List so please check back or sign up for our mailing list to be notified of the next guide. Did you enjoy the Ultimate Homeschool Curriculum List? Feel free to share it with your friends. We rely on word-of mouth to keep this site going and we love putting together these homeschool curriculum list editorials for you. Did you like this Ultimate Homeschool Curriculum List? Check out our Homeschool Reviews! Thank you for the list of products. Sassafras Science is a nice curriculum for Science. Bible Study Guide for All Ages is nice for Bible. This is great and extensive curriculum for home schooling.